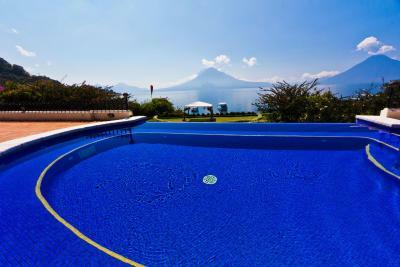 Lock in a great price for Hotel Atitlan – rated 8.7 by recent guests! I’ve stayed here several times. 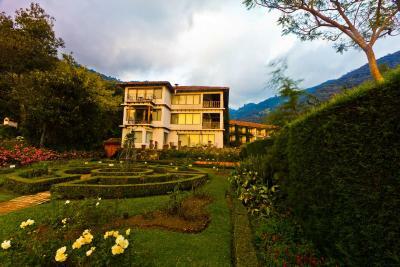 It’s my favorite hotel at Lake Aititlan. I love the gardens. I love the location. I love the rooms. I love the service. It was a perfect stay...bed, food, view, pool, people, and spirit! The view and the pool are beautiful. Food was good too. 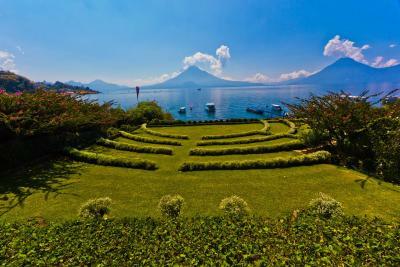 The property is easily one of the most beautiful in Guatemala, and I dare say in the world. 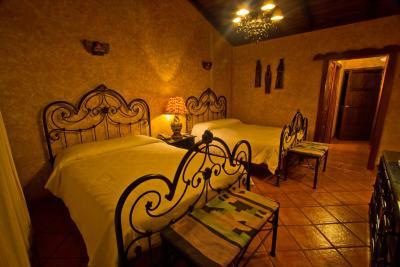 Hotel Atitlan with its comfortable rooms, amazing views, gorgeous gardens, and friendly staff are sure to make your stay memorable. It is a fancy-ish resort hotel with a nice pool and hot tub. 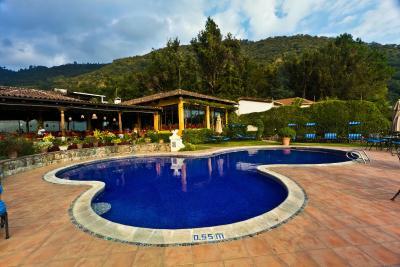 This is one of our favorite places to stay in Guatemala. It’s beautiful, clean, has great food and the staff are very friendly. Any room has a wonderful view of the gardens and the lake! The bedroom was awesome! Very clean and very pretty gardens. A perfect place to relax. The most amazing views, staff, views, food and facilities. 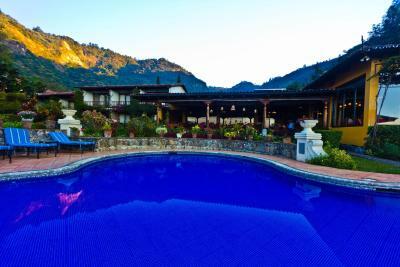 Hotel Atitlan This rating is a reflection of how the property compares to the industry standard when it comes to price, facilities and services available. It's based on a self-evaluation by the property. Use this rating to help choose your stay! 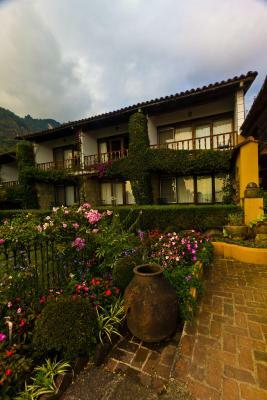 One of our top picks in Panajachel.Hotel Atitlan is a rustic-style property offering extensive gardens and panoramic views of Atitlan Lake. It has an outdoor pool, hot tub, and a botanical garden. The elegant rooms have wrought iron furniture, cable TV, and views of the gardens and the lake. Some units have a fireplace. The private bathroom provides free toiletries. 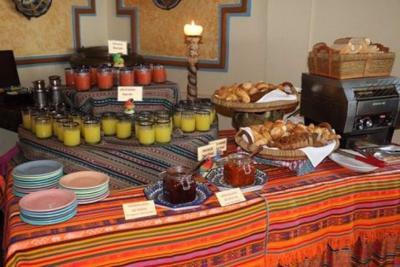 The restaurant at Hotel Atitlan serves international-style cuisine and opens from 07:00 to 22:00. 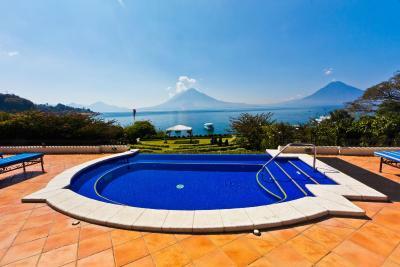 Santiago Atitlan can be reached in 30 minutes, but only by boat; Panajachel is 0.6 mi away. La Aurora International Airport is 1 hour and 45 minutes’ drive away. 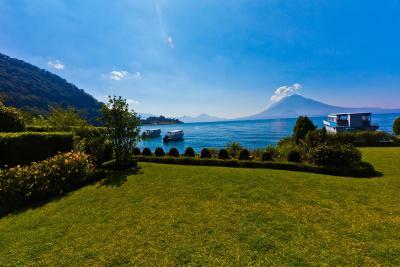 When would you like to stay at Hotel Atitlan? 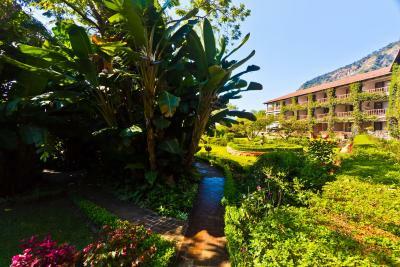 This rustic-style room has a colonial décor, a furnished balcony overlooking the botanical garden and a private bathroom that provides free toiletries. 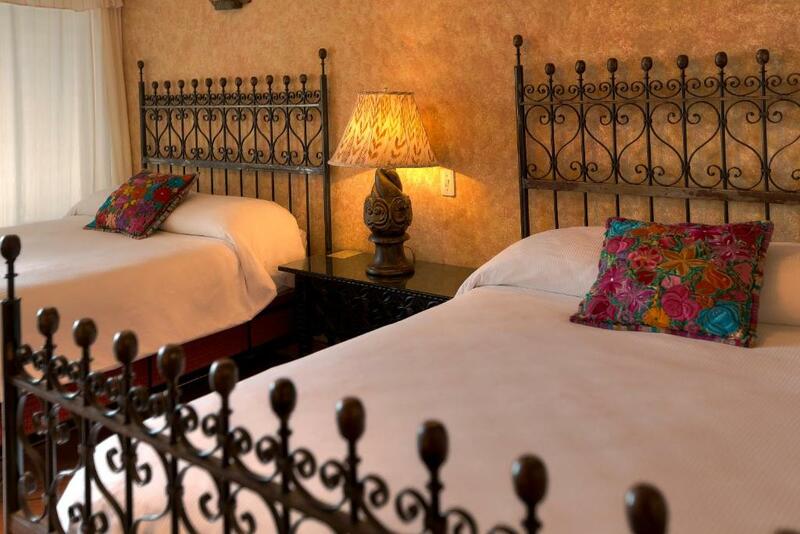 The Triple room includes 3 single beds, views of the botanical garden and features a colonial décor. The bathroom has a shower and provides free toiletries. This suite has a seating area, a fireplace and colonial décor. It is spacious and includes views of the lake, cable TV and the private bathroom provides free toiletries and a bathrobe. This colonial-style suite has a seating area with a fireplace, dining area, views of the gardens and the lake plus a private bathroom that provides free toiletries. It also has a terrace and cable TV. 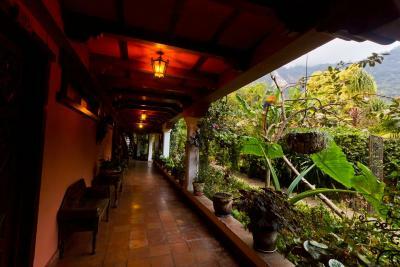 House Rules Hotel Atitlan takes special requests – add in the next step! Free! Up to two children under 9 years stay free of charge when using existing beds. 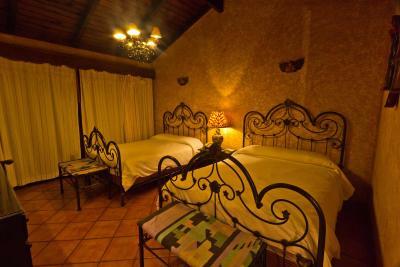 Hotel Atitlan accepts these cards and reserves the right to temporarily hold an amount prior to arrival. Please note that cribs may not be placed in every room type. Cribs are subject of availability upon request. Would have been good to have tea and coffee making facilities in room. There was a wedding do on our last night there and extremely loud music until nearly 1 am in the morning. It was turned down but could still hear it till 1.30 am. Brilliant view of lake and volcanoes from our room. Very extensive pristine gardens. Very secure surroundings. Reception staff extremely helpful contacting a doctor and arranging collection of medication when one of us was ill. There was a tuc tuc always available to travel into panajachel. The hotel arranged taxi pick ups for us from Antigua and back to airport. The front desk Staff and concierge service is lacking. They basically sent you to the internet to book something. Not sure if it is a corporate policy or the staff. Room facilities are old and very cheap. Bad bed. Check-in attention, breakfast quality, room soundproof. The bath/ shower was dirty and caulkinking was poor. 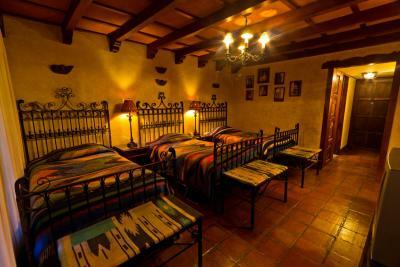 The beds were hard as a rock and very uncomfortable for such a nice property. That part was disappointing. The grounds and pool area were beautiful. View !!! Staff attentive !!! 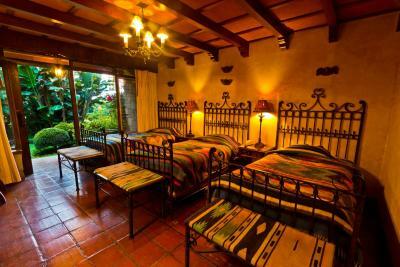 It doesn’t have a ton of character, for a Guatemalan hotel. It is a fairly standard upscale hotel. Their service is terrible and very bureaucratic, as in having rules and exemptions that make no sense. No room service unless you’re sick, then you have to bring it up and down yourself. The WiFi is terrible. The service is friendly but inefficient. And since the hotel is a bit secluded you have limited options but to deal w their protocols.